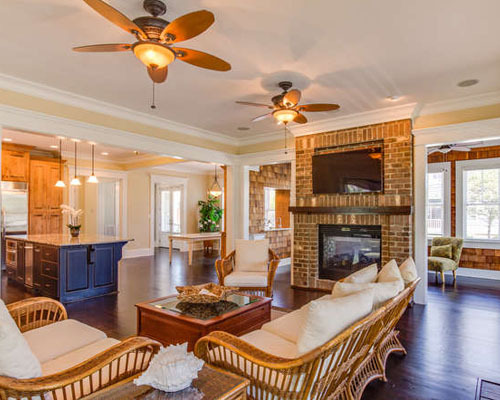 This extremely spacious home is designed with tact and entertaining in mind. With its impressive address and size, the home presents a warm feeling and cozy atmosphere. 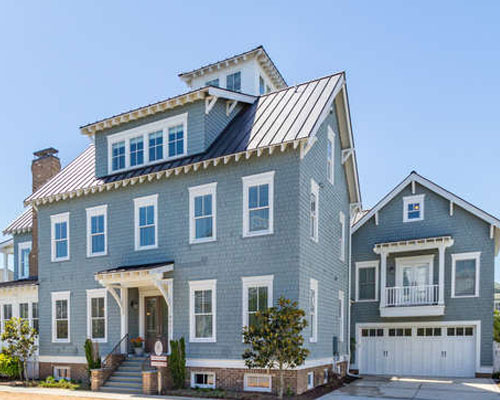 Located just across the street from the Chesapeake Bay, the home allows wonderful water views from each floor. 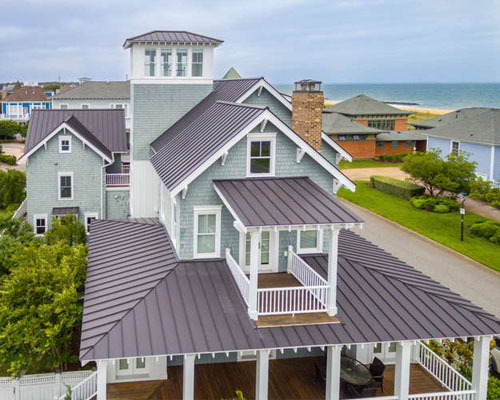 Also, adjacent to the home is the East Beach Clubhouse pool and work out facility. 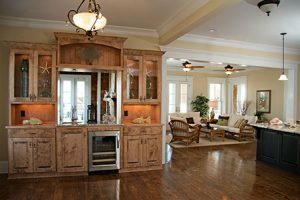 The first floor has an impressive custom kitchen with a large island that opens to both the living room and dining areas. 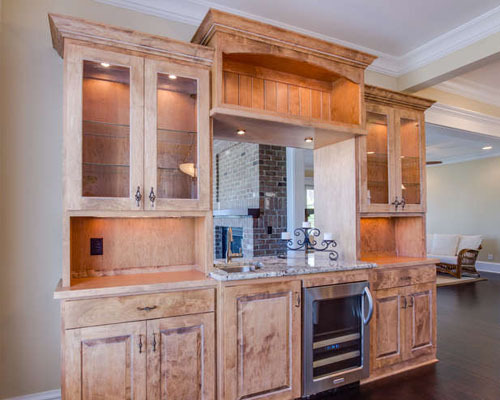 There is a full wet bar with wine cooler and sink that also opens to the enclosed front porch area. The living room has a two sided gas fireplace and a home theater system installed. 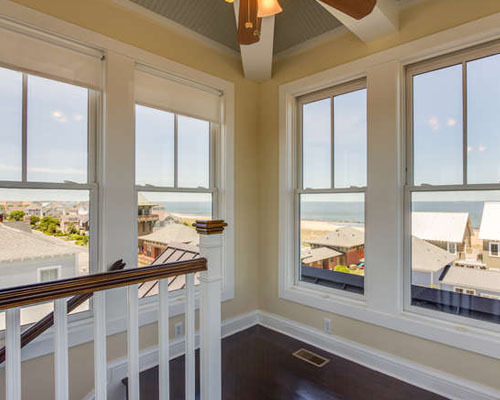 The Sunroom has tumbled marble and exposed ceiling rafters of cedar shakes that give the beach cottage feel. 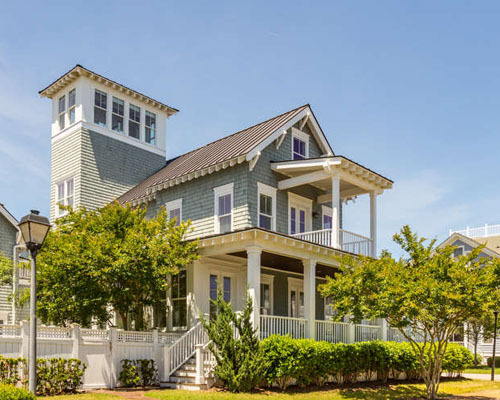 The home is serviced by an elevator that has four stops, but one must still walk up to the tower to get the most breathtaking views of the East Beach community and Chesapeake Bay. 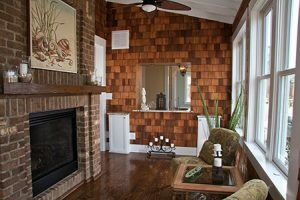 The master bedroom is located on the second floor with a gas fireplace and walk out balcony overlooking the Chesapeake Bay. 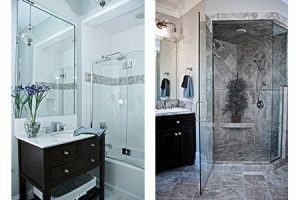 The sizable master bath has his and her shower heads, enclosed toilet with bidet, and jetted tub. 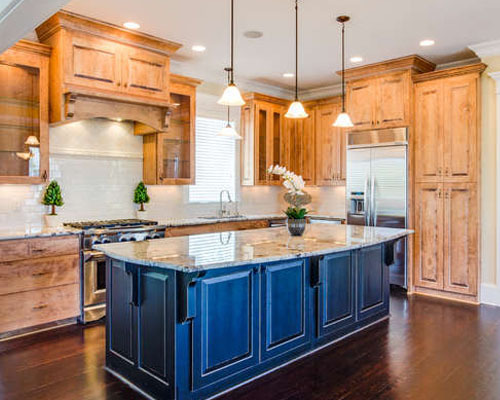 There are separate two walk in closets with custom cabinets and plenty of rod space. 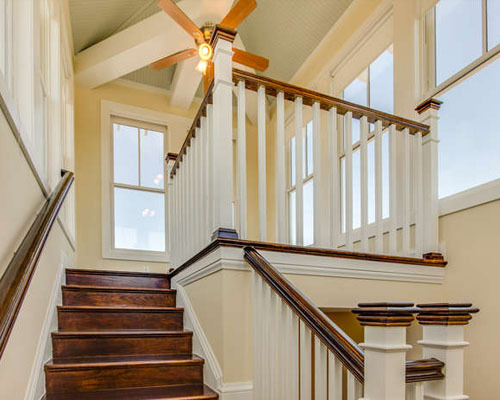 The third floor with its vaulted ceiling is the perfect entertaining room. Or it can be used as a second master bedroom, complete with full wet bar, ice machine and dishwasher. The room is set up and is ready for a home theater as well. There is plenty of conditioned storage on the third floor as well. The home comes complete with a finished full basement that has a full bathroom and dog washing shower. Accessible by both stairway and elevator, the room is perfect for a workout room, play room or full wine cellar. The heating and cooling is serviced by a geothermal system consisting of 9 wells and four zones. The home is constructed with SIP, “Structured Insulated Panels”, providing the most efficient and comfortable living condition available today. 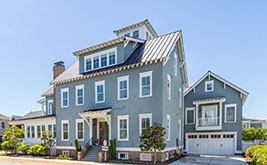 Attached to the house and located above the two car garage is the unique two story carriage house. 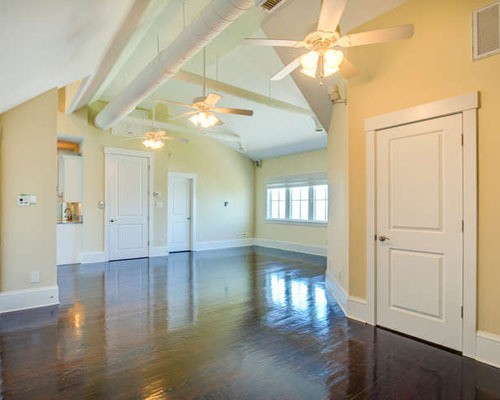 The carriage house has access from the garage and can be used as a rental or for guests. The unit has a complete kitchen, laundry and bedrooms with ample storage. The rear yard is beautifully landscaped,fenced incomplete with an irrigation system, patio and rear deck. The rear yard faces south and provides a great place during the colder winters and the house helps reduce the winds. The backyard is a great place to entertain and barbeque. There are outside speakers that operate with the entertainment system and work as a third zone. 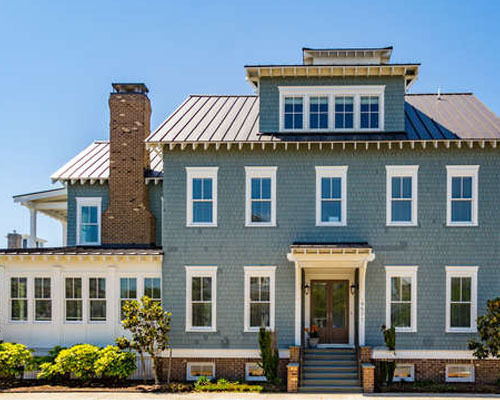 The system allows atmosphere music on the interior first and second floors and the exterior porches as well. Visit www.bayfrontliving.com for full details.